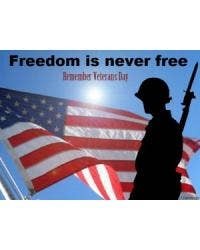 Thank a Veteran for your Freedoms Today! Happy Veteran’s Day from The Skinny and Therapon Skin Health. We are grateful, not just today, but everyday, for the sacrifices you and your families have made! God bless you!